I did not spend a lot of time on the water over the Memorial Day weekend, but that was alright. We spent a lot of time with family. Never fear, I did spend some time on the water; would have spent more if it were not for a nasty storm that blew up one evening. From that little bit of time on the water, I can tell you one thing: Right now the channel catfish are en fuego. Fishing reports from around the state, a variety of waters, variety of species, have been great the past couple of weeks. Our weather has stabilized, waters have warmed and the fishing has taken off. Simply put, right now, quit your job, get outta the office, do not pass “Go”, do not collect $200, GO FISH! If you are sitting around waiting for someone to give you a “fishing report”, well, they ain’t talking because they are too busy fishing. It’s time, NOW! I have heard great reports for everything from trout to panfish to bass, walleyes, pike, muskies, you name it. That certainly includes catfish, and in fact you might not even have to be targeting catfish right now to catch some. My kids and I spent some time on a pond over the weekend, throwing for largemouth bass and panfish, but could not avoid catching some very active and aggressive channel cats too. They hit swimbaits, and chased down crankbaits. It makes sense that right now the channel cats would be very catchable. In the past couple of weeks water temps. have risen several degrees; much to the liking of warm-water catfish. In addition, our catfish species are the last to spawn every year, well into summer, June and even July in most Nebraska waters. All of that means that right now hungry, aggressive catfish are very active and roaming to find some good eats, extra energy, to get ready to spawn. What? Wait a minute! Catfish, especially channel cats, have a reputation as bottom feeders, they just lazily swim around sucking up stinky, dead stuff from the bottom. Right? Nope, that ain’t all they do. I am here to tell you that they are predators, sure, different than the bass, walleyes and pike we think of as predator fish, but predators just the same. I had a 5-pound channel cat spit up a baby muskrat once, the puked-up fur floating in the water was a nice touch, and it was not even a really big catfish. If that ain’t being predatory, I do not know what is, and right now they are being predatory! 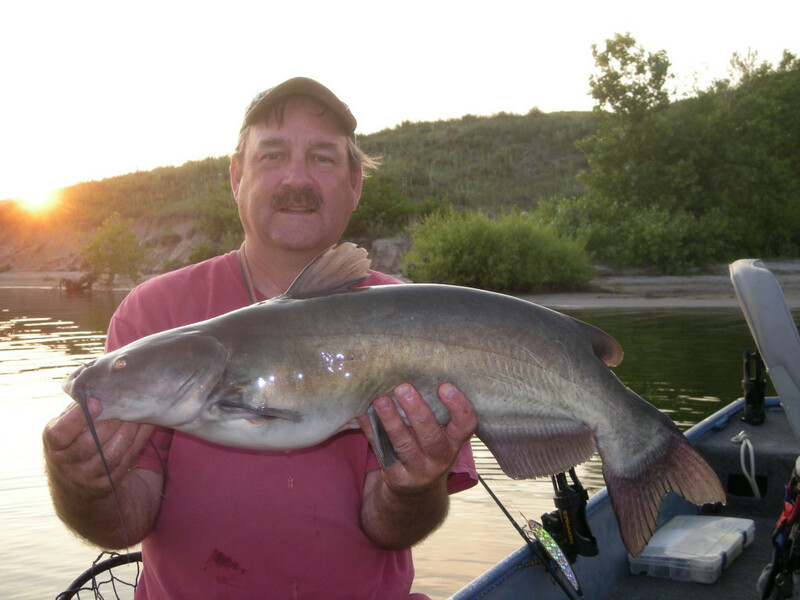 Talk to any hard-core bass or walleye angler and they will likely tell you stories of catfish, especially some big channel cats that were caught on a variety of artificial lures. I can think of channels I have caught on spinnerbaits, top-waters, jigging spoons, and had one smash a crankbait once and then explode from the water when I set the hook. Channel cats sure are made to pin food items to the bottom, that is why they have an overbite, but they will chase prey throughout the water column. In recent years, I have not necessarily spent any time soaking live or dead baits targeting channel cats. Nope, I just keep casting the variety of artificial baits I use for other predator fish knowing that from time to time I am going to pick up the occasional “bycatch” catfish. Sometimes that bycatch is a big cat and I hate it when that happens. That being the case, if you want to catch some channel cats right now, imagine what you can do by actually targeting those fish! Now, I completely understand that every red-blooded catfish angler has his or her favorite stinky concoction or secret bait. If you have one of those you are particularly confident in, I will always tell you to fish your confidence bait! But, if you are looking for suggestions, fresh cut-bait is hard to beat almost all of the time. What could be better than the actual prey that those catfish are eating? Catch a sunfish or other small fish, make sure it meets all length and bag limit requirements that might apply, then cut it up and use it for bait! It’s the circle of life! 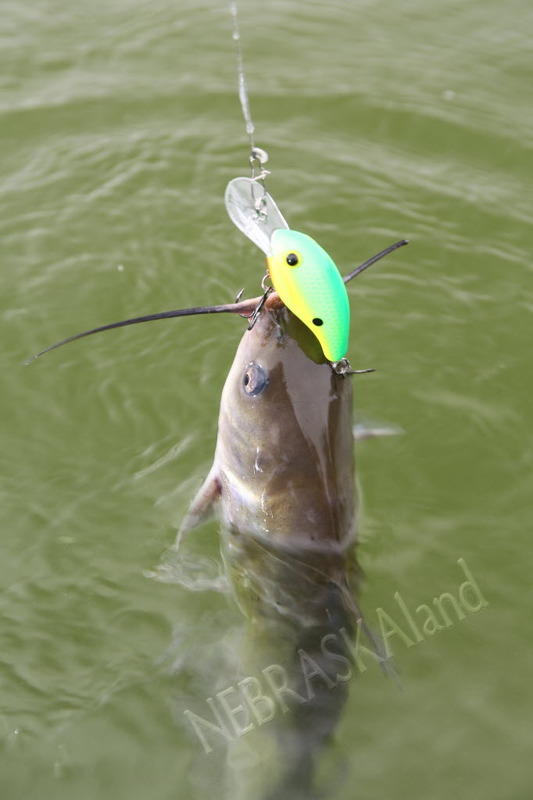 Fishing on the bottom with some sort of slip-sinker rig is always a good idea for channel cats, but do not hesitate to suspend baits below floats (i.e. bobbers) especially if fishing over some aquatic vegetation. Right now I would tell you the cats are active, so if you ain’t getting bit, MOVE! Look for areas where there is an abundance of baitfish or other prey items. Always pay special attention to wind-swept shorelines (yes, fish with the wind IN your face), or current areas, and if there is shallow water cover nearby that makes a spot even better (those cats may be using that cover as spawning habitat in a few more weeks). Or, do like I do and just keep tossing baits for bass, walleyes, pike, muskies, panfish, whatever, and be pleasantly surprised when a predaceous channel cat smashes it!